Fazzio Interiors. 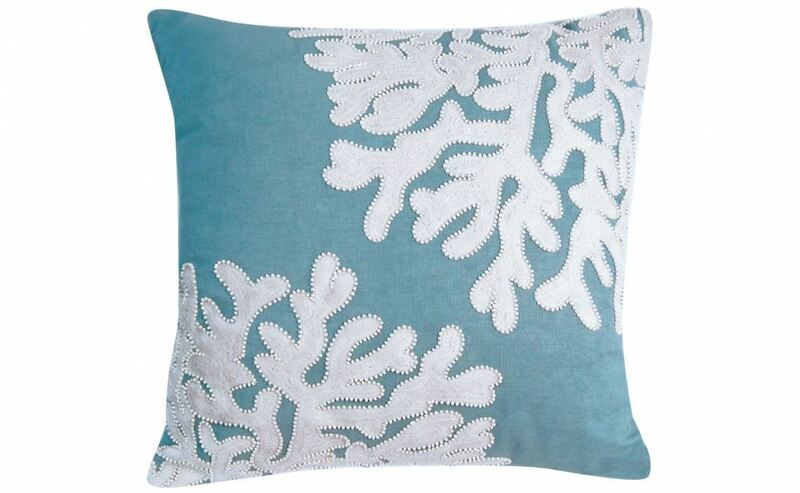 Beaded Linen Coral Motif-Cottage Blue 18"x 18"
Next productBlue Coral Pillow 18" x 18"
This indoor cotton pillow features delicate beading around a white sea coral appliqué. Cottage blue panels with hidden zipper.